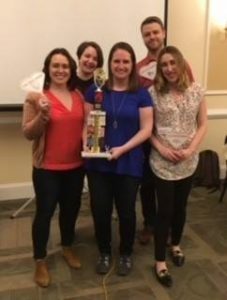 In preparation, the teams had read six popular titles – The Nightingale, Between the World and Me, The Unlikely Pilgrimage of Harold Fry, Artemis, Killers of the Flower Moon and Before the Fall. That night, they faced off in four themed rounds of 12 questions. The winning team, The Waterlogged and the runners-up, Get Lit, received trophies and prizes. 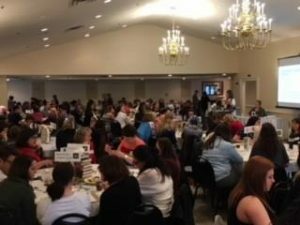 The event was sponsored by Avalon Public Library, Cooper-Siegel Community Library, Hampton Community Library, Millvale Community Library, Northland Library, Northern Tier Regional Library, Sewickley Public Library and Shaler North Hills Library. 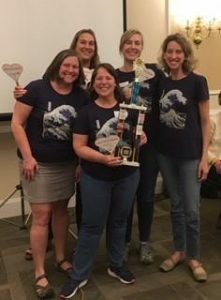 Battle of the Books Winners – The Waterlogged!